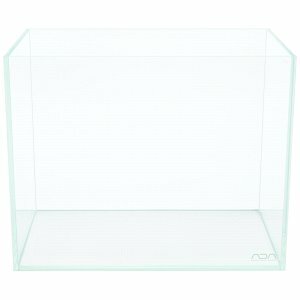 In our online shop we offer aquariums in different sizes and formats. 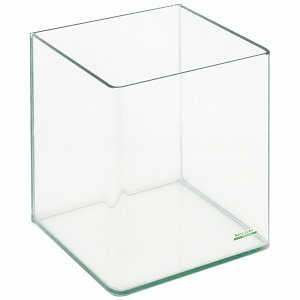 In addition to classic rectangular tanks, panoramic aquariums and cubes are available, too. 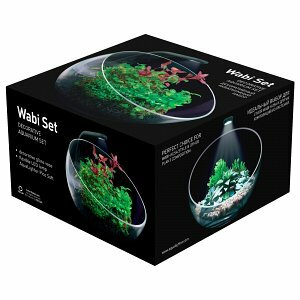 Our focus is on nano aquariums, popular in shrimp keeping and aquascaping. Apart from glass tanks, we also offer fully equipped sets. Next to the tank itself, these include basic equipment like filter and lighting, occasionally a cover, cover hooks and a safety underlay. 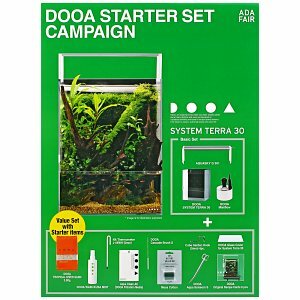 With such a complete set you can easily and effortlessly start your new project - be it an aquascape with many aquatic plants, a habitat for bustling dwarf shrimp or a classic community aquarium. Though aquarium covers are useful in keeping evaporization low and jumpy or freedom-loving inhabitants inside the tank, open glass tanks in the so-called pool design have their special charm. These aquariums have neither a classical cover, nor struts. The Cube Garden tanks by ADA, which are also available through our shop, are the pioneers in this field. Such an aquarium makes it possible to have aquatic plants or decoration such as stones and roots protrude from the water. This creates a very special living room atmosphere and is a very popular design trick in aquascaping. 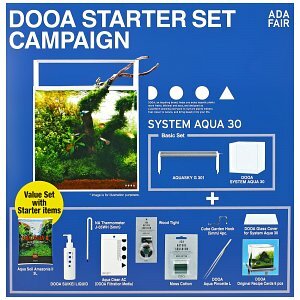 More information on this topic can be found in our article Aquariums with or without cover?. 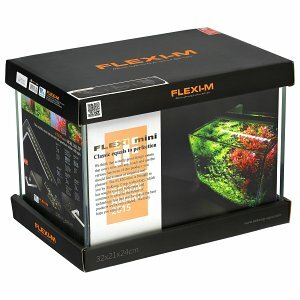 In addition to various aquarium sizes, we also offer tanks in various glass qualities. While float glass is the standard in aquaristics, white glass ensures a much more transparent look and optimum color reproduction. Since there is a lower amount of iron contained in the glass, it is much less greenish than float glass. If you want to learn more about the differences in glass types, we recommend reading the article on the topic. 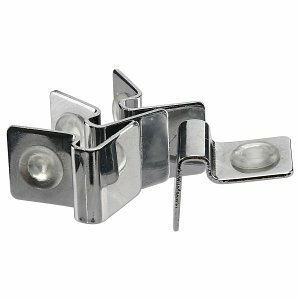 When shipping glass items, we attach even greater importance to ensuring a the goods arriving safely and in one piece at the customer. Aquariums are packed by us in extra-large boxes and cushioned with an abundant amount of polystyrene flakes. Thanks to the appropriate padding, shipping can be carried out without problems by the respective parcel delivery service, in our case DHL. 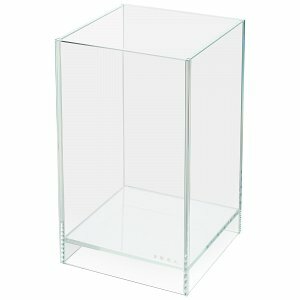 Due to the safe packaging, our glass breakage rate for aquariums is zero.